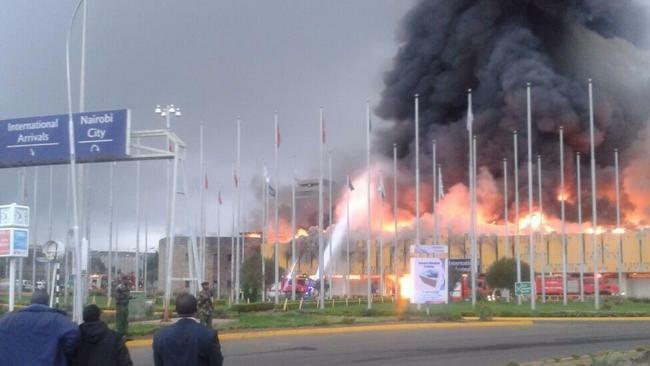 Kenya's main international airport in Nairobi has been closed after a fire broke out in the arrivals hall, forcing the rerouting of all incoming flights. 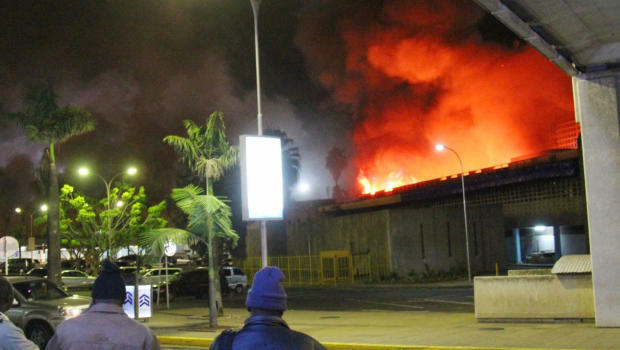 NAIROBI, Kenya — A massive fire destroyed the arrivals hall at Kenya's main international airport early Wednesday, forcing the closure of East Africa's largest airport and the rerouting of all inbound flights. "It is a disgrace of biblical proportions that the entire Nairobi County does not have a public fire engine in working condition," the paper wrote in an editorial last month. "When (government leaders) were debating their budgets, they did not deem it fit to set aside money either to buy new ones or repair the old ones. But they did set aside money to build mansions for governors, (buy) big vehicles for county executives and other needs without a direct benefit to Kenyans." "There was no one stopping any traffic going to the road to the airport," he said. "A number of fire trucks and ambulances were trying to negotiate their way through the lane. ... They were trying to weave their way through a solid two lanes of cars." No injuries were reported, said Michael Kamau, Kenya's cabinet secretary for transport and infrastructure. 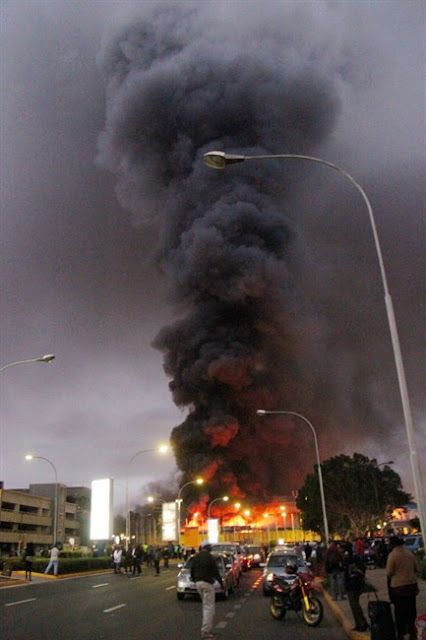 The fire broke out on the 15th anniversary of the U.S. Embassy bombings in Nairobi and neighboring Dar es Salaam, Tanzania, but there were no immediate signs of terrorism. Kenya's anti-terror police boss, Boniface Mwaniki, told The Associated Press that he was waiting for the fire to be put out so that he could inspect the scene before making a judgment. Dark black smoke that shot skyward was visible across much of Nairobi as emergency teams battled the blaze. Passengers reported a slow response by the under-resourced fire brigade, and the blaze raged for four hours before being contained. "We reassure international and local travelers that arrangements are being put in place to restore normal operations. The airlines are working to assist stranded passengers and advise them on the measures being put in place to resume services at JKIA," said Stephen Gichuki, the director of the Kenyan Airports Authority. The Nairobi airport is the busiest in East Africa, and its closure is likely to affect flights throughout the region. Kamau said the fire began at 5 a.m. (10 p.m. EST) in the immigration section of the arrivals hall. Inbound flights were diverted to the coastal city of Mombasa. "When I arrived there were one or two fire engines parked outside the international arrivals. It spread very fast," said Collbeck, who had been scheduled to fly back to London on an early morning KLM flight. "There were a couple of explosions which I think were a couple of gas canisters."